There is something about lop eared rabbits that makes people smooch up their face & say “Ohhhh, so cute!” Maybe it’s their floppy ears, maybe it’s their playful nature, or maybe it’s those short mushed faces that get you every time. One of the smallest of the lop breeds, Holland Lop’s top weight is 4 pounds (very close in size to dwarf breeds) making them an ideal pet for people without a lot of space & looking for a compact companion. You won’t need a huge cage for these guys! 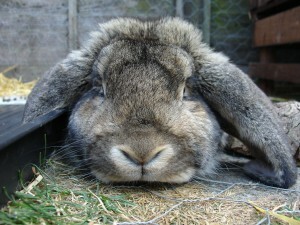 They have very fun & outgoing personalities that often remind you more of a clown than a rabbit. These rabbits are the fuzzier version of their Holland Lop pals, weighing in at the same size but with a beautiful coat of wool (instead of normal short rabbit fur). The wool coat makes them look like little puff balls with lop ears sticking out and they can be great pets, as long as you don’t mind brushing them to make sure their coats stay soft & snag free. 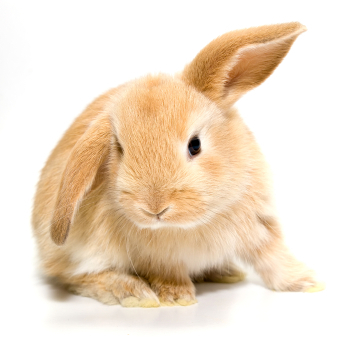 Mini Lops are the larger more mellow cousin of the Holland Lop and fall right smack in the middle of the lop eared rabbit sizes at about 6 pounds. These lop eared rabbits tend to be calmer and more easy going than the smaller lops but still pack a very charming personality onto their bunny frame. 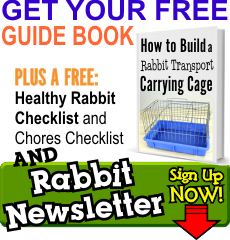 For more info on other rabbit breeds and how to buy a rabbit check out our other pages.